Throughout my 25+ year career as a family law attorney and mediator in Gig Harbor, I have focused on creating constructive alternatives to litigation for separating and divorcing couples. My firm, Family Law Resolutions, was founded on the philosophy that respectful negotiations help you reach durable agreements without going to court. If you want to engage in a solution-oriented transition for yourself and your family and refrain from expensive court battles, I provide a positive environment in which to reach solid, workable, beneficial agreements. By focusing on reducing and resolving conflict, you can transition by moving on, not just moving out. I have been practicing exclusively family law since admission to the Washington State Bar Association in 1992. 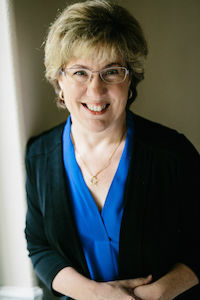 After graduating from the University of Puget Sound School of Law (now Seattle University School of Law), I practiced traditional family law litigation for more than a decade before evolving my practice to focus on dispute resolution. After completing extensive training in collaborative law, mediation, collaborative team building, and conflict coaching, I led development of this discipline locally as well as statewide through training, education and mentorship to fellow legal professionals. This work has helped countless clients realize the benefits of mediation and collaborative law, clients who are seeking a non-adversarial way to end a marriage as well as address financial and parenting issues into the future in a peacefully managed way.